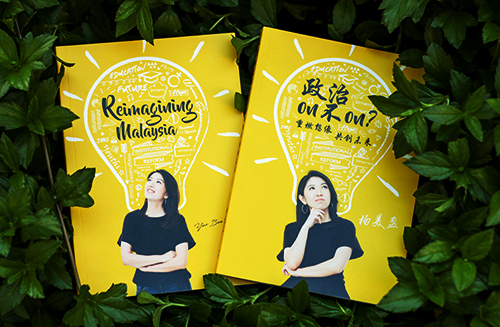 Media Statement by Yeo Bee Yin, State Assemblywoman for Damansara Utama on Saturday, 25 January 2014 in Petaling Jaya. The RM50 million the Finance Ministry spent in buying non-essential tools for Fire and Rescue Department will better be spent on compensating the 13,000 (mostly underpaid) firemen – it could well be a bonus of about RM3,800 per fireman. As revealed by the Public Accounts Committee (PAC), the Barisan Nasional government has once again shown its lack of accountability in utilizing rakyat’s money by spending RM50 million in buying "CCS Cobra Cutting Extinguisher E300" through direct negotiation. This came even WITHOUT the Fire and Rescue Department requesting for it. We believe that the Fire Department will be better off if the money was used to compensate the firemen in the form of bonus or pay increment. 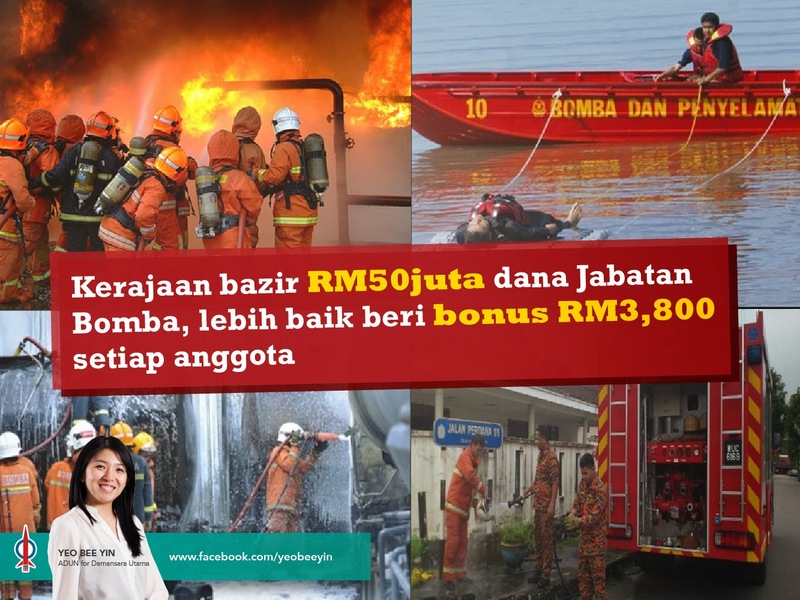 As of now, many firemen have been underpaid - the basic salary of a junior fireman is lower than RM1,000 and even a Station Commander is only about RM3,800. Furthermore, they are not entitled to overtime claim. Under such a pay scheme, which is significantly lower than their PDRM counterpart, even with some other allowances, many firemen may still find it difficult to raise their families, especially those who are based in Klang Valley area. Why did Putrajaya pay so generously to the supplier via direct negotiation but peanuts to the men and women who are standing at the forefront to protect the lives and property of the rakyat? If the RM50 million wasted by the Barisan Nasional government in buying "CCS Cobra Cutting Extinguisher E300" was used to pay extra bonus to the 13,000 firemen, each fireman could have taken home at least RM3,800 per person. This could certainly reduce the burden of many firemen’s families especially in the view of rising cost of living and subsequently boost the morale of the department. Or if the RM50 million was used to buy the much-needed fire engines to the fire stations around Malaysia, it could have improved the effectiveness of the firemen in fighting fire emergency as well as their personal safety while performing their duties. Therefore, we call upon the Finance Ministry to give clear explanation as to why unnecessary equipment was purchased and worse still without open tender. 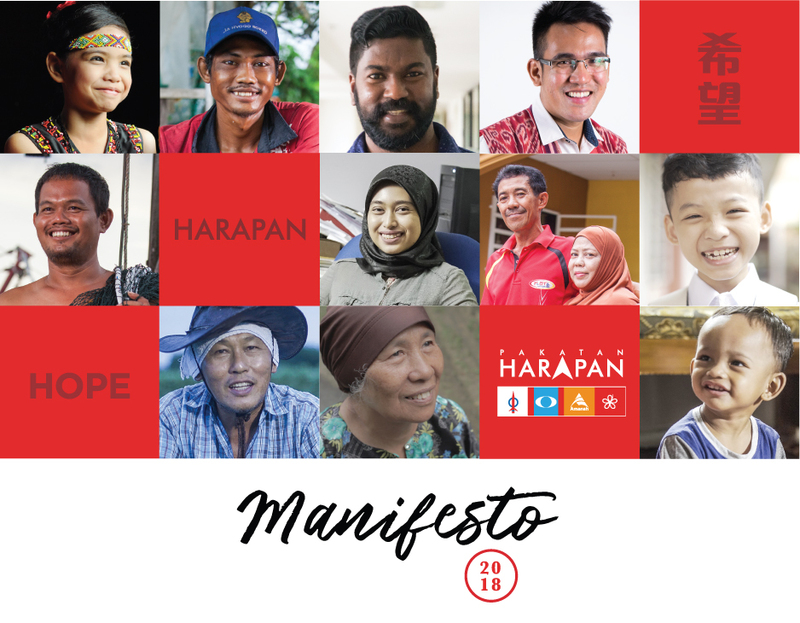 Putrajaya must come clean and clear on whether Fire and Rescue Department has been ‘used’ as a channel to enrich others at the expense of the benefit of the firemen and the safety of the public.